The Class Strikes Back examines case studies of twenty-first-century workers’ struggles from both the Global North and South, highlighting the stories of workers fighting to organize and join democratic and independent unions. How the new global movements are putting forward a radical conception of democracy. 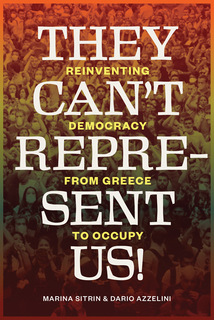 Here is one of the first books to assert that mass protest movements in disparate places such as Greece, Argentina, and the United States share an agenda — to raise the question of what democracy should mean. These horizontalist movements, including Occupy, exercise and claim participatory democracy as the ground of revolutionary social change today.